Antibiotics were once hailed as a miracle drug, but are now widely misused and overused. Antibiotics used incorrectly are bad for your health and are leading to “super bugs”. The Centers for Disease and Control and Prevention (CDC) has a large media campaign to decrease the use of antibiotics in society. The campaign is titled “Snort Sniffle Sneeze, No Antibiotics Please”. I will highlight the main points from this campaign and then grow your understanding further towards a naturally healthy state. Antibiotics only treat bacterial infections. Antibiotics do nothing for viral infections. Viral infections cause most of the snort, sniffle, and sneezes. (Most coughs, colds, bronchitis, sinus infections, and sore throats as well as some ear infections). Using an antibiotic for a viral infection will NOT cure the infection, will NOT help you feel better, will NOT keep others from catching the illness. Most sore throats DO NOT require an antibiotic. Green colored mucus is NOT a sign that an antibiotic is needed. Some ear infections DO NOT require an antibiotic. Antibiotics kill good bacteria in your child’s body, which may lead to complications, such as diarrhea or yeast infection. Cause a serious allergic reaction that may require hospitalization. Result in an antibiotic-resistant infection. Resistant bacteria are stronger and harder to kill. They can stay in your child’s body and can cause severe illnesses that cannot be cured with antibiotics. 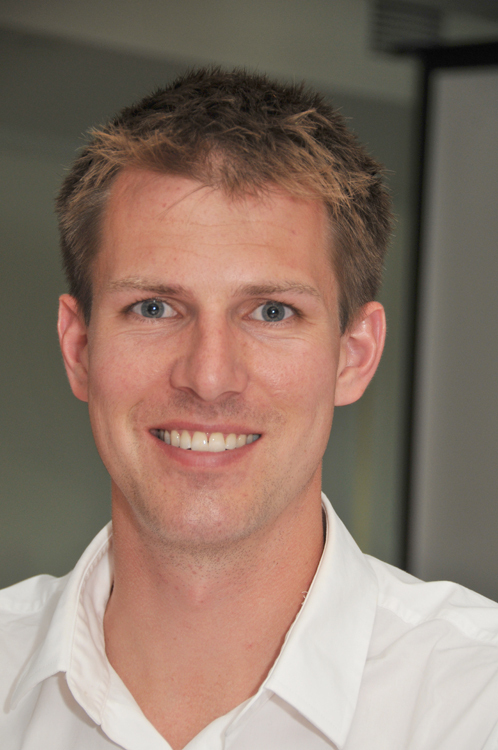 A cure for a resistant infection may require stronger treatment–and possibly a hospital stay. 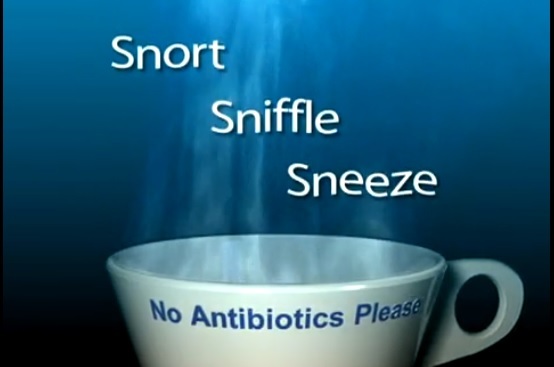 Here is a video message from the CDC that is entertaining and gets to the point that if you are having Snorts, Sniffles, or Sneezes, then say No Antibiotics Please! to help relieve a cold, use a clean humidifier, a cool mist vaporizer, or breath in steam from a bowl or shower. Unfortunately, the CDC’s antibiotic campaign falls short of growing your understanding beyond just avoiding antibiotics. Time to grow your understanding further. 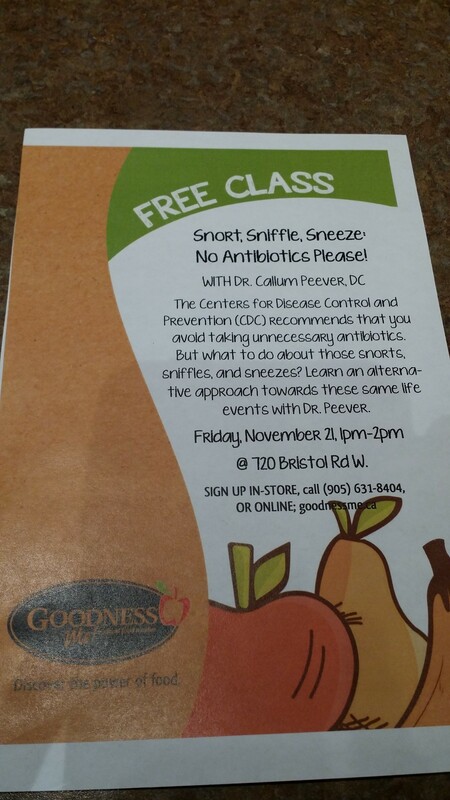 Dr. Peever and Dr. Tiffany presenting this topic in Mississauga at Goodness Me. Medicine has oversold treatment and undersold the benefits of caring for the body. This ad campaign is the CDC addressing this problem in society. The problem that I see with it is that they stop short of addressing the benefits of caring for a body. They do mention numerous ways to address the symptoms associated with these snorts, sniffles, and sneezes. But they don’t go into ways of supporting or encouraging the body to function better towards a naturally healthy state. What is caring for the body? Did you realize that your body is the greatest drug store on earth? Your body knows which drugs to use, when to use them, and how long to use them for! Your body is also constantly and actively monitoring your internal and external environments for risks and opportunities to rest and heal. When you cut your finger, what heals it? The body does using its amazing, inborn, natural, innate ability to heal! Caring for your body involves supporting and encouraging your body’s amazing, inborn, natural, innate ability to heal. This amazing, inborn, natural, innate ability is coordinated and controlled by your brain and nervous system, and is what Chiropractors are experts at caring for. Why doesn’t everyone get sick or catch the flu? Why doesn’t everyone get sick at the same time? Why doesn’t everyone get sick for the same length of time? How can you support or encourage the body to function better towards a naturally healthy state? This has been the Erin Mills Optimum Health approach for over 35 years, and Chiropractic’s for 119. Our natural approaches don’t treat the common cold. They do, however, help raise your natural resistance to disease, which is the only “cure”. Natural resistance is the only reason why colds “go away” rather than last for weeks, months, or entire lifetimes! Chiropractic care helps raise your natural resistance to disease by removing a serious interference to your natural healing ability: spinal nerve stress or vertebral subluxations. Naturopathic strategies help raise your natural resistance to disease through utilizing the power of foods and ensuring your body has the proper nutrition. Our Massage therapists help you get much need rest. Read about the Chiropractic connection to the Immune System! Don’t rush towards antibiotics, as they are often not the answer to your snorts, sniffles, and sneezes. Instead, support and empower your body’s natural, innate ability to heal with a natural approach at Erin Mills Optimum Health! If you want to further develop your understanding of these concepts, connect with Dr. Callum Peever or your health professional at Erin Mills Optimum Health. Dr. Peever has spoke on this topic many times in Mississauga. Here’s a blurb from one of my favourite doctors, Dr. Aviva Romm. Very holistic in her thinking and approach, she discusses sore throats in kids. To many parents, it might be a surprise that most sore throats are not caused by the bacteria, Strep. For more information on how to treat your kids and yourselves naturally, please book in to see us! How Long Does a Cough Last Anyways? Do Antibiotics make you well… or sick? Since the 1940’s antibiotics have been held up as miracle drugs. Unfortunately they have been abused and we are seeing hosts of problems arise and aggravated because of them. Now we are seeing superbugs, hormonal imbalances, leaky guts, breast cancer risk, cardiac damage, anemia, rashes, neurotoxicity, musculoskeletal toxicity, diarrhea, and colitis. 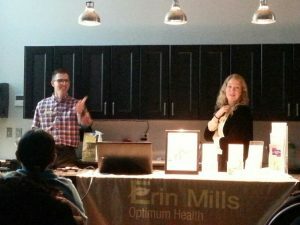 At Erin Mills Optimum Health we focus on supporting and empowering the body to excel through challenges so that we can minimize the need for rescuing from antibiotics.